Make safety a priority. 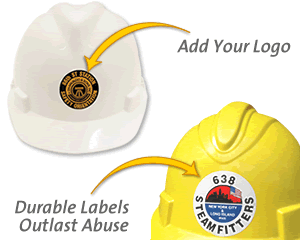 This clever "Read This Label Again Tomorrow, Wear Eye Protection Today" Hard Hat Decal reminds everyone to use their eye protection, wherever you go. These are great. I work for Habitat for Humanity. We have a lot of volunteers, and safety is very important. The more times people can see something of this sort, the more they will have safety on their mind. Thank You! !